Vera Wilhelmine Buch Weisbord was a labor activist associated with the Socialist Party, Communist Party, and Communist League of Struggle. She helped organize trade unions and strikes that shaped the labor movement of the 1920s and 1930s. Alongside her husband Albert, she had a significant impact on securing improved working conditions for laborers in the early 20th century. Buch was born in Forestville, Connecticut, on August 19, 1895. At a young age, she moved to the Bronx, New York, with her parents, John Casper Buch and Nellie Amelia Louisa Crawford. With her father unable to find steady work, Vera’s childhood was characterized by her family’s ongoing struggles to to pay their bills. Buch studied at Hunter High School and Hunter College, where she was a strong student and excelled in French. She began her activism in college by participating in a women’s suffrage march. Immediately after graduation, she was diagnosed with tuberculosis and spent a year in a sanatorium. Inspired by a woman she met there, Buch studied socialist economic theory. She soon began seeing her childhood poverty as the product of the nation’s wealthy exploiting her working-class family. After leaving the sanatorium, Buch moved to Caldwell, New Jersey. There she attended meetings of the Left Wing Section of the Socialist Party and worked in a straw hat factory before taking a job as a stenographer and translator for the French American Banking Company. Buch went on to join the Industrial Workers of the World and the Communist Party; several years later, she joined the Workers (Communist) Party. Under the pseudonym Leona Smith, Buch helped organize striking workers, particularly women, at the Botany Worsted Mills in Passaic, New Jersey, in 1926. The strike eventually spread to several nearby plants and included at least 15,000 protestors. The Passaic strike, which halted wage cuts and led to some workers receiving assurances that they would be permitted to unionize, was the first mass strike led by communists in the United States. While in Passaic, Buch met her future husband, strike organizer Albert Weisbord. 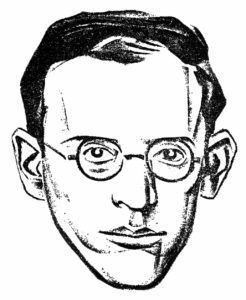 After the strike, Buch and Weisbord moved to Detroit, where Buch served as the editor of several left-wing factory newsletters and briefly worked in an automotive plant. In 1928, the party sent her to a coal miner’s strike in Pennsylvania where she worked with women’s auxiliaries of the United Mine Workers to help build the Save the Union Committee. 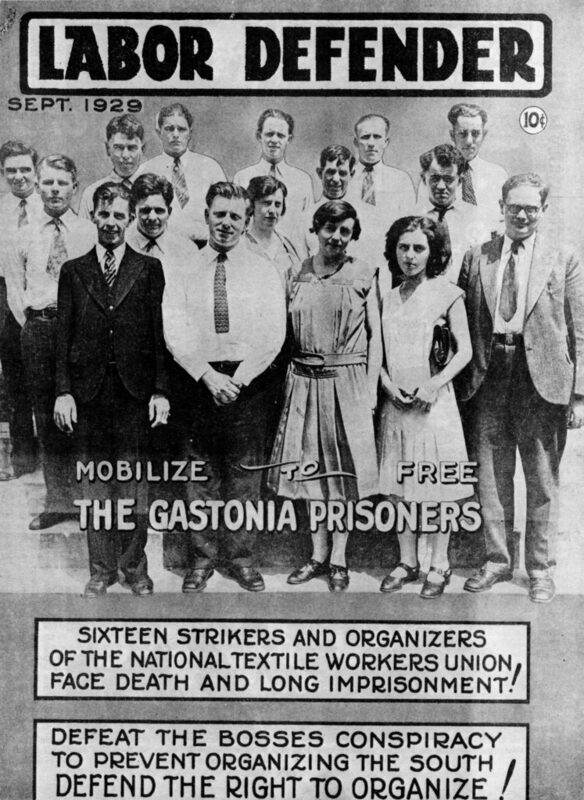 After an illness forced her to miss the founding meeting of the National Textile Workers Union (which brought together laborers from around the country, including Connecticut carpet workers), she became an organizer in the Loray Mill Strike in Gastonia, North Carolina, in 1929. The National Guard and police were eventually brought in to restore order among the striking textile workers, but a local police chief was killed during a struggle and 16 people (including Buch) were arrested and charged with murder and conspiracy to commit murder. Buch, ultimately, was released after her case was declared a mistrial. The Loray strike garnered support for unionization, particularly for the growing United Textile Workers (UTW), and set the stage for further organized job action. The UTW-backed 1934 textile workers’ strike saw laborers mobilized from New England to the Deep South. It was the largest strike in American history at the time and led to Connecticut governor Wilbur Cross mobilizing the National Guard. Buch and Weisbord founded the Communist League of Struggle after they were expelled from the Communist Party due to false accusations of supporting controversial leader Jay Lovestone. They helped organize unions in New York for maritime workers before moving to Chicago to unionize workers there. They married in 1938. Buch also studied art in Chicago and became a prolific painter. She published her autobiography shortly after her husband died in 1977. On September 6, 1987, she died of heart disease in Chicago. Vera Buch Weisbord is remembered for her contributions to the labor movement and being an early voice for women’s rights in the workplace. Her support of striking workers helped build momentum for unions and the national labor struggle which secured working-condition and pay improvements for the laborers during the Great Depression. Kevin Hogg teaches History, Law, and English at Mount Baker Secondary School in Cranbrook, British Columbia. Salmond, John A. Gastonia. 1929: The Story of the Loray Mill Strike. Chapel Hill, N.C.: University of North Carolina Press, 1995. Weisbord, Vera Buch. A Radical Life. Bloomington, IN: Indiana University Press, 1977. Weisbord, Albert. 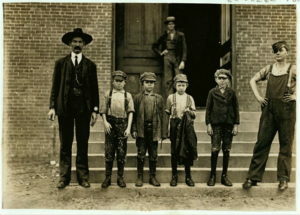 Passaic: The Story of a Struggle against Starvation Wages and for the Right to Organize. New York, NY: AMS Press, 1976.